Bot platforms are tools used to build and deploy interactive chatbots. Companies utilize the tools to create intelligent, conversational bots to interact with customers and help provide information to users. These platforms provide development tools such as frameworks and API toolsets for customizable bot creation. These bots tend to be scalable to serve on multiple communication platforms and across multiple devices simultaneously. Some offer advertising and payment features as well. These tools also provide maintenance features to combat issues that arise after publishing. Many bot platfoms are built on top of artificial intelligence and machine learning products for advanced performance and analytics. They also utilize natural language processing (NLP) tools to interperet text and interact with AI platforms. Provide users with tools for performing maintenance and updates to published bots. Bot Platforms reviews by real, verified users. Find unbiased ratings on user satisfaction, features, and price based on the most reviews available anywhere. Tars is a chatbot platform that allows you to build conversational workflow to talk to users clicking on your PPC/Paid campaigns. 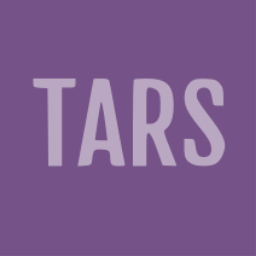 Tars web-based chatbots replace your static landing pages (forms) to give your users a conversational post-click experience and help you get 2x-3x higher conversion rates. ChatBot can be used to build a chatbot for any instant messaging (Slack, Kik, etc.) and communication service (LiveChat, Facebook Messenger), using example scenarios or from scratch, with real-time testing. Collect.chat provides a platform where anybody can build a chatbot using simple drag & drop templates. These chatbots can collect data from website visitors by asking scripted questions - 24/7, fully on auto-pilot. Botsify helps people build chatbots for their businesses without any coding knowledge. 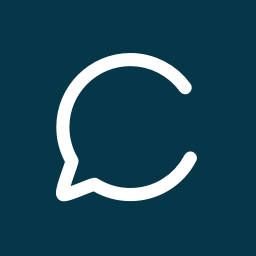 ChatScript is a "next Generation" open source chatbot engine, based on the one that powered Suzette. Conversation.one enables machines to speak fluently with humans. Conversation.one is a build-once-deploy-anywhere platform that builds voicebots and chatbots; Alexa skills, Google Home actions & Facebook Messenger bots in minutes. We leverage machine learning to build an enriched, fluent and natural correspondence between humans and any voice-enabled device or service. Botkit is a popular open-source toolkit for creating bots for messaging platforms. Engati is one of the best free chatbot platform to build bots in minutes without programming. Build once and publish across 8 major platforms - FB messenger, kik, telegram, line, viber, skype, slack and website. Supports intelligent paths, train, copy, analytics and private labeling. Gupshup is an advanced bot and messaging platform. Kore is an enterprise software provider of an all-in-one Bots Platform (as-a-service) and cutting-edge smart technology for enterprises to build and deploy out-of-the-box or completely customized chatbots for their customers and workforce. PandoraBots is a platform for building and deploying artificially intelligent chatbots. Reply.ai is an enterprise-level bot building platform. Recast.AI is the collaborative end-to-end bot platform for developers. The strengh of Recast.AI comes from three main pillars: technology, bot building and community. Firstly, we are developing a strong and powerful natural language processing (NLP) technology. This technology, based on deep learning, allows our users to analyse sentences, detect their intent (classification) and extract key information called entities (named entity recognition or NER). Recast.AI provides by default an extensive enrichment of 35+ entities such as location, datetimes or temperatures. To this we've also added emoji support, sentiment analysis, dialog management or expression suggestions, leveraging data augmentation to drastically fasten bot building. This NLP technology allows the creation of chatbots in any language, from English to Hebrew through Japanese. Second, bot building is done through our free platform. In this platform, we've developed a complete suite of tools for bot building. Developers can train their bot, build their conversational flow in a visual builder (using our unique Bot Skills technology), connect bots to any channel in a few clicks (Messenger, Slack, Kik, Skype, etc) and monitor its use. All of this for free. Finally, from the beginning, Recast.AI has been a collaborative platform. Today, more than 25,000 developers use our technology and tools. Bots built on Recast.AI can be forked, Bot Skills can be shared, and you can work collaboratively on a bot. The community also exchanges tips and tricks on our Slack Community. While our technology is used by developers all around the world, we also work closely with major corporations to automate their customer supports with chatbots. With Recast.AI, you have all tools necessary to the building of powerful bots and can provide great conversational interfaces in a heartbeat. Sequel allows you to build your own AI-powered bots - with no engineering required - and publish out to messaging platforms. Wit.ai is an API that makes it easy for developers to build applications and devices that you can talk to. Amplify.ai is an AI-powered conversational commerce platform that helps brands acquire & engage with consumers that use a social messaging app. Botanic offers a SaaS solution designed to let companies build their own branded chatbots, virtual assistants (voice), and avatars. The Bots.co Platform enables users to create and manage bots. Chatbase analytics helps developers monitor and fix bots. Clustaar is a bot building platform dedicated to customer support automation. We help clients build powerful bots to integrate anywhere. Our user-friendly platform is customizable and equipt with NLP and machine learning to hold natural conversations. Integrate a bot into one of the existing solutions or use the Clustaar webchat to embed directly into your webpage. Our NLP understands English, French, Russian, Portuguese, Spanish and more upon request. Build a chatbot solution on your own, or with the help of our expert team today. Dexter is a bot creation platform targeted at writers, publishers, and business owners. Hybrid.Chat is a human + chatbot hybrid platform that proactively engages with your customers 24x7 directly from Slack, Mattermost, or any other messaging platform, making your business ‘always available’ and customer-friendly. Human agents can take over chat conversations anytime using the messenger. Build engaging chat bots using simple spreadsheets to automate your conversations. Deliver amazing chat experiences to your visitors. Build human-like chatbots that are always manning the chat and never lose a lead. With several bots building spreadsheet examples already provided, it would be a breeze to copy and create your own. Don’t limit yourself to just email capture. Capture phone numbers, names, schedule meetings, URLs and much more with beautifully designed in-chat widgets that work together with chatbots. Design a delightful chat experience and make that impression, while automating your workflow. It can be easily made and uploaded on your website in 10 minutes. All it needs is your internet and some spreadsheet knowledge. It also comes with some pre-built bots that you can test on our website and you yourself can build a bot as well. This will reduce the cost of people that are required to operate your website and ends up saving time as well as money. Hybrid.Chat has no limit to the bots and the user has his/her own wish to keep it simple or to make it a fully automatic chatbot. So, it's quite a flexible option. The basic plans start from FREE and that's the best part. It gives you quite an idea that how this works and how far you can go with it. KITT.AI makes natural language understanding easier for developers. Manybot is platform for businesses and professionals to create messenger apps without coding. Message,io is an enterprise bots service that is deployable to Slack, HipChat and Skype. Meya is a bot creation platform that can be connected to any popular messaging app or intelligent assistant. Quickly define conversations visually, connect servicesand automate your business with natural language. An artificial intelligence which allows you to define conversations visually inminutes and thereby control your business in natural language. MonoSay is an analytics and data platform for bot creators. Motion is AI based bot builder enabling users to visually build, train and deploy bots to do justabout anything. Oracle Intelligent Bots quickly build simple chatbots and advanced digital assistants that let customers engage in natural conversations with the business. Hi there! Can I help you find the best Bot Platforms solutions?